Cooney, Barbara. 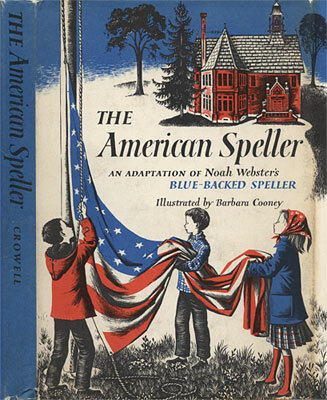 The American Speller: An Adaptation of Noah Webster’s Blue-backed Speller. Illustrated by Barbara Cooney. New York: T. Y. Crowell, . 77 p., 23 cm. Lettering for dust jacket.